1 tsp of your choice of Chef Josef’s Seasoning Blend: Curry Basil, Lemon Dill, Tarragon Citrus, Original. My favorite is the Curry basil. Cut off the white part of the asparagus and toss out. Marinate the asparagus with all ingredients and let sit at room temperature for ½ Hour. Put on a hot Grill for 2 minutes on each side. Broil until they are half done, avoid overcooking. Serve hot or at room temperature. Mix well, if you want a more intense flavor, add more seasoning blend. This is great with any grilled meats for vegetables. It can be kept in refrigeration for up to 2 weeks if stored in an airtight container. Slice and dice all vegetables. Over high heat, brown turkey meat in a pot. Half way through browning, add onion and leek and finish glazing. Simmer until carrots are al dente. Let sit for 10 min and serve. This is a great dish for potluck or for leftovers. Kids love it! Glaze onion, leek, garlic and celery in olive oil. Add carrots, coconut cream and stock. 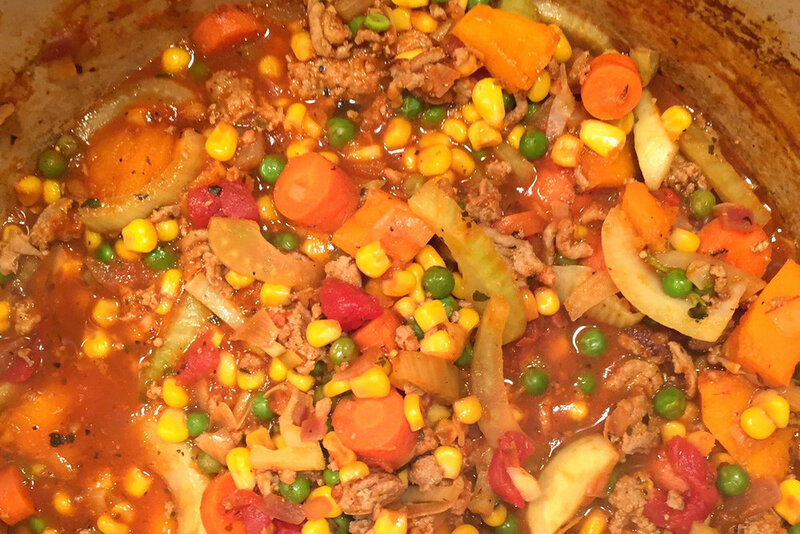 Simmer until carrots are ¾ done. Add all other ingredients and simmer for 3 minutes. Remove lemon grass pieces from soup.